The average golfer may not have the physical skills of a pro, but they sure could use the tools of a pro, and I’m not talking the latest and greatest golf clubs. It’s called “six inches”…the gray matter between our ears. 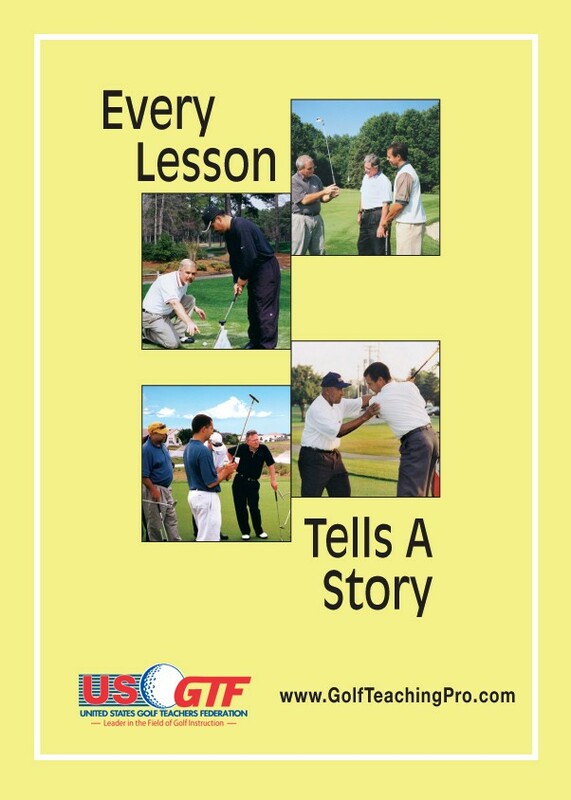 True story as recited by a kid I coach while playing a tournament: He’s standing on a tee box of a par-3, looking at his pin sheet (where exactly the hole is situated on the green…how far on and how far to the right or left). In this case, it was in the middle of the green and 1 yard short of center. The tee blocks are adjacent to the plaque indicating the yardage to the center of the green, and in this case it was 174 yards. One yard short of center, as indicated by the pin sheet, makes the overall distance 173. He slyly asks his playing partner (who is now checking the distance to the hole with his electronic range finder), “What do you have, 173?” After tagging it at 173, he looks at my player and says, “Yeah, how’d you know?” He just started to laugh, as he has never used a range finder because I never let him. He has learned old school. Walk the course, see the course, feel the course, analyze the course, and you’ll play your best. Let’s face it. Humans tend to take the path of least resistance. GPS for going from point A to Point B and range finders for playing golf. When the electronics fail them, they feel lost. One has to learn to navigate to play their best. Range finders are simply one dimensional – they provide a distance from point A to point B (with the exception of some, which offer elevation options). They do not assist in putting one’s mind at ease in order to have a chance at hitting their best shots, or at least shooting better scores. Let me explain. One’s mind cannot be cluttered with thoughts (be it swing thoughts or “what if?” type thoughts) in order to perform at golf. A range finder offers a distance to an object, hence that object is “Plan A.” What about “Plan B” and “Plan C”? What are those? Plan B is the contingency plan in case Plan A doesn’t work out. Plan C is simple…it is where you don’t want to go, or in other words…CRAP! Consider this: “Alright, I have my yardage to the left-center-side-of-the-green pin based on my trusty range finder…148…perfect, a stock 8-iron. Geez, my lie is not the best, but I can still get it there, just hit it a little harder. Oh, pulled it a little, but it should be good. Damn, caught the bunker!! I was sure I had enough club, I can’t believe it, I hit it well too. Geez, maybe there’s something wrong with my ball or maybe I’m losing distance. Maybe I’ll get a lesson or check my numbers on a launch monitor. Might have to get lighter shafts to get my clubhead speed back up.” There you go, so how’s that fancy range finder working out for you? How about a real yardage book so you know the carry distance over that bunker in case you do pull the ball, which is often the case when one tries to hit the ball harder? Then, you’d know the 8-iron is not the club, but the 7-iron was. But wait! If you hit the 7-iron left and it clears the bunker, there is very little green to work with and the greens are firm. The ball may bounce over, down the hill and into the hazard behind the green (uh oh…Plan C). Knowledge is key! Ignorance on the golf course is anything but bliss. Plan A is center right of the green and plan B is short or short right of the green. The 8-iron is the club; don’t try to hit it harder because you may pull it in the bunker or worse. Now the golfer can hit the shot with an ease of mind, resulting in a clear thought process and relaxed body. Why? Because they’ve taken the “what if?” out of the equation. What if they don’t execute perfectly? It doesn’t matter, because the ball won’t end up where the sun never shines. Plan B is available and now part of the commitment to the shot. We all know we’d like to hit it to Plan A, but sometimes even that is not possible because that would be considered plan A+. Plan A must be modified, because the goal in golf is to not put pressure on oneself to hit the perfect shot. Plan A means good execution to a well thought out risk/reward scenario. Plan B is where the ball could end up in case one does not hit the shot as well as planned. Plan C is about ALWAYS assessing one’s options and committing to a decision that never places one’s ball in a position from where it is impossible to recover or a penalty stroke will occur. We can choose to navigate toward our beacon of light (the flagstick) with a compass (a rangefinder), or use a map (a yardage book and our brains). I’ll take the latter every time. Why not the an electronic yardage book? It doesn’t offer all the variables golf presents in its ever-changing environment day to day. These variables can be written down in a yardage book. A yardage book gets us out of our lazy ways. I’ve never met a lazy golfer who is a consistently good golfer in my 40+ years of playing the game. Ever!